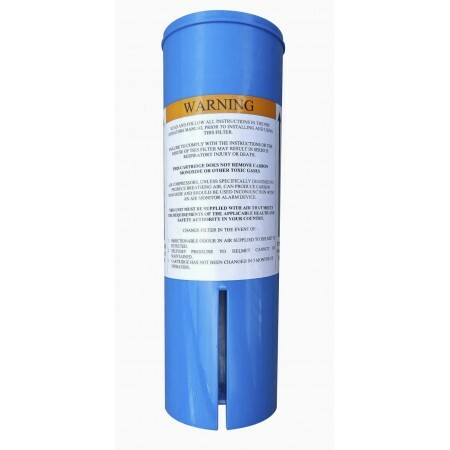 Replacement breathing air filter cartridge for free standing air filters. Fits the popular Clemco BAF filters as well as Scorpion filter tubes, and several other brands. Plastic housing with special charcoal filtration material , which removes oil mist, particulates, and odours. Manufacturer recommends that cartridges are changed every 3 months, or more frequently if oily odours can be detected whilst wearing your helmet. NB. Cartridge does not filter carbon monoxide.